I almost forgot about 3 years of my life. I hardly remembered my fierce determination and obvious persistence. In the past year since completing my 3-year MBA (Master of Business Administration), I’ve faced small and medium challenges like starting a new job in a new company, finding my place in a new group, rekindling old friendships and making new ones. I was often worried about how I would cope or if I would survive. Indeed, I had almost forgotten what I could achieve if I set my mind to it. It was last Friday, 18th October when I attend my MBA graduation ceremony that it hit me unexpectedly as I saw my classmates, many of which became friends of mine. They will be unforgettable because they taught me more than business. I don’t know where strength came from. It often felt like there was a pipe pumping energy into my veins at high speed. I had low points when I thought I couldn’t continue, that the demands I had of myself were too high. But I was unable to accept that state for long. Looking back, I’m grateful for those low points as they helped me refuel. I’ve learnt to appreciate the stillness instead of panicking in the silence. I’ve learnt over time not to forget to be kind to myself in the excitement – to remain unforgettable in the process. 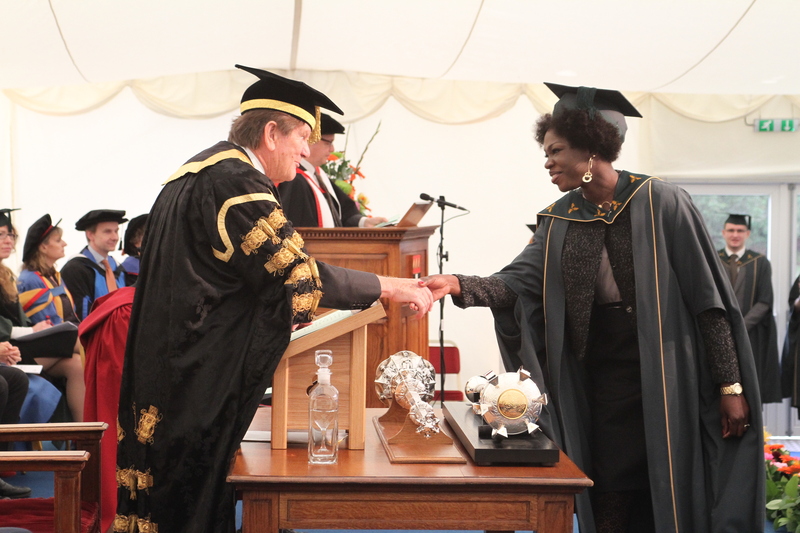 Even as I shake the hand of the Vice Chancellor, I don’t think I fully got it. Hopefully someday, I will. Kemi, your words are truly an inspiration. Reading your words have brought hope to me. Seeing how gracious you looked when you shook the hand of the vice cchancellor’s makes me want to salute you. Job well done on behalf of all mothers, wives and employees. Keep the fire burning. Congratulations for sure!…You should certainly be proud of your achievement! Well done, Kemi. My wife completed her MBA about 5 years ago so I know what a huge amount of work you have to put in. Anyone who makes it to the end has achieved a special qualification. Again, well done to you. Well done, Kemi! Your determination is a challenge and an inspiration to all women. Wishing you more joyful achievements.